In 2018 we started working UCA MA Architecture students. We invited the students to imagine a community hub design for St Mary in the Marsh. 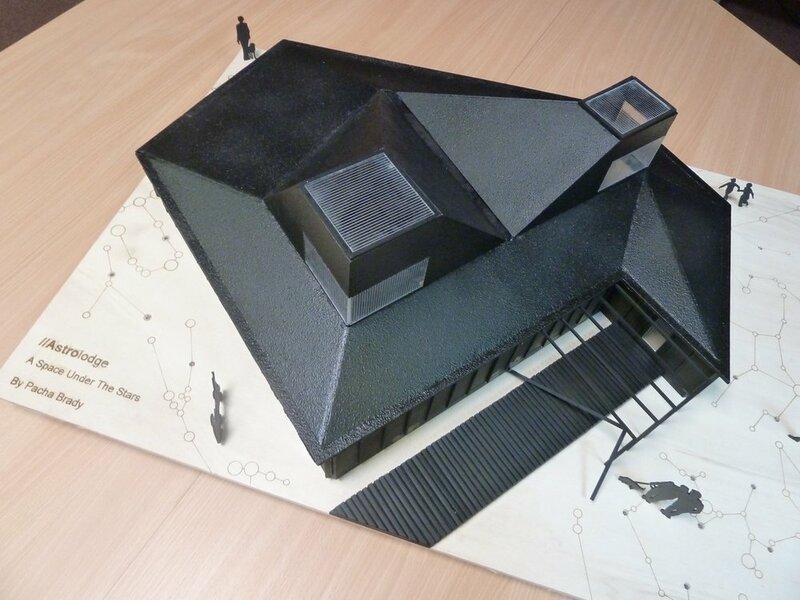 Astro-Lodge, this design is focussed on celebrating the night sky and provides a number of viewing platforms that can be used for daytime bird watching and night time star-gazing. It also has a sensory garden in the centre of the building. Inglorious Remembrance the Pillbox design, this design is a monumental and sculptural response to the brief. It references the ‘pillbox’ WWII military structure which, in the middle of a residential rural neighbourhood, might create discussions and debate. to be used for a variety of uses.